By popular demand, this ONE original is back for the holiday season, this time making an appearance in three festive flavors. Wrapped in gold are a pumpkin pecan variety, black foil signals a dark chocolate hazelnut bon bon with a touch of holiday berry, and a special eggnog gingerbread recipe is wrapped in silver. A perfect way to celebrate the season! P.S. Or did the sugar cookie stars steal the show? P.S. Did Santa deliver Giving Cards to your house this year? Lucky you! 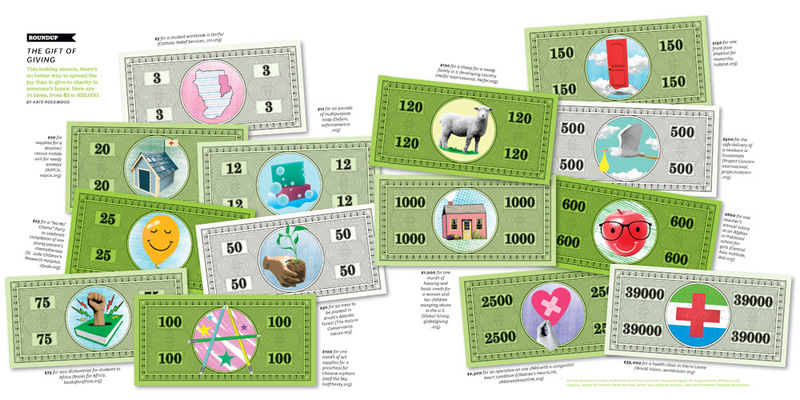 You can give the face amount of the Giving Card to any charity of your choice, anywhere in the country. Enjoy! The Giving Card is an invention of the Greater Kansas City Community Foundation. The gift of giving has never been more fun! And the gift of giving has never been more hip. P.S. Did the Giving Cards arrive with ONE of a kind treats? Even better!